Thanks to economies of scale, the rising demand for backup has meant that the big backup providers have been able to increase their operations and keep costs down, so these days it doesn’t cost a lot per month to ensure you have your data backed up in the cloud. And with the better providers you aren’t pulled into a long-term contract. You can backup from month to month, increasing or decreasing your backup capacity as necessary. 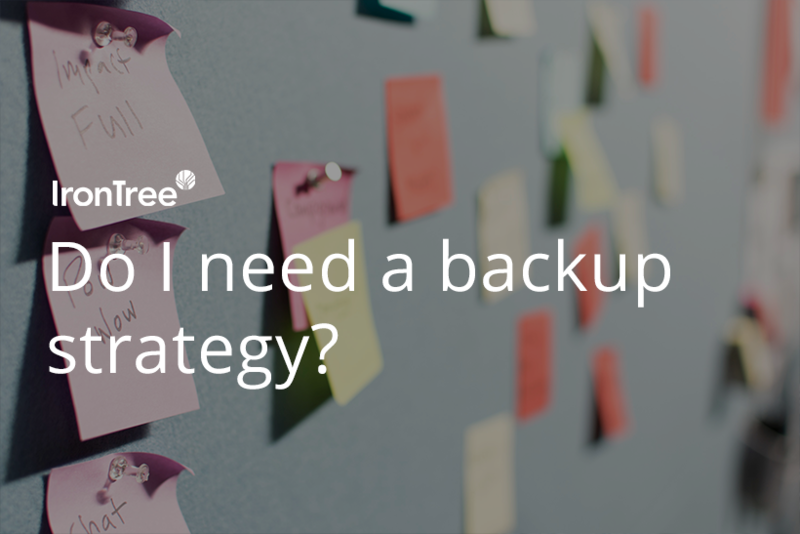 Backing up itself may be straightforward, but you need to compile a backup strategy so that your backups turn out to be optimal, guaranteed, secure and retrievable on demand. You can work out your strategy by asking six basic questions of why, what, where, when, how and who. 1. WHY is pretty obvious. Data is a business’s most valuable asset, and if you don’t back it up you run the risk of losing it. There are many ways to lose data, from mechanical failure, employee error and cyberattack to a disaster that’s beyond your control. 2. WHAT will involve writing a list of what absolutely must be backed up, ie the vital business data you can’t do without. Backup doesn’t have to include movie and music files (unless these are business critical files). So it’s just the files that are needed to run your business. 3. WHERE is a case of making sure you know where the items are so you can configure the automated backup agent to find them. Check the locations of these files regularly to ensure they still match the original configuration. Backup happens automatically, without user intervention, so if you relocate a file and don’t update the backup configuration settings, then that data won’t be backed up. 4. WHEN is a case of working out the best time to backup. How often do business critical data files change? How many transactions does your company process hourly/daily? You need to decide on the frequency of your backups in order to minimise the risk of data loss and resultant business disruption. For example, if you process hundreds of invoices daily, perhaps your backups should be set to take place every hour. 5. HOW would include details of encryption, passwords, where the data centre is located, how secure the data centre is and how sure are you that data is easily retrievable. A reliable cloud provider always ensures that backup data is automatically compressed, encrypted and encoded before it leaves your server. It’s best for data backups to be located in a local data centre as this will result in an easy and timeous retrieval (and also satisfies compliance, privacy and governance regulations). 6. WHO involves assigning someone to manage the backup process as well as being accountable for configuration settings. This person will be authorised to restore data using an encryption code known by nobody else (not even the backup provider) and will check from time to time that the right stuff is being backed up. IronTree is trusted by 15 000+ businesses in South Africa.